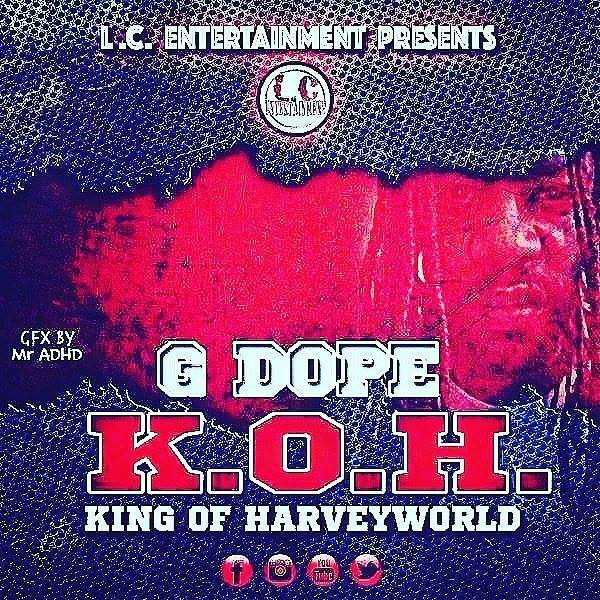 G. Dope hails from Harvey, Il aka Harveyworld located on the outskirts of Chicago. He’s often referred to as the king of Harveyworld. He is currently working on his debut album called K.O.H (King of Harveyworld). The song “Grace” is his first official single off of the project. G. Dope has influenced some of the dopest rappers from Chicago including Marvo, Lupe Fiasco, Harveyworld Ike, Martyr Mafia, Ty Money, and Static just to name a few. K.O.H (King of Harveyworld) is certainly a project worth the listen when it drops.